The event, which took place on Saturday 6th and Sunday 7th April, welcomed over 1,000 visitors from across Somerset, Devon and Cornwall, as well as Wiltshire and South Wales. Open to swimmers from 9 years old to 15 and over, there were numerous races held throughout the weekend. Wells Swimming Club utilises pool facilities across the local area and offers coaching from junior to master levels. It aims to support, nurture and guide swimmers of all ages and abilities to be the best swimmers they can be. 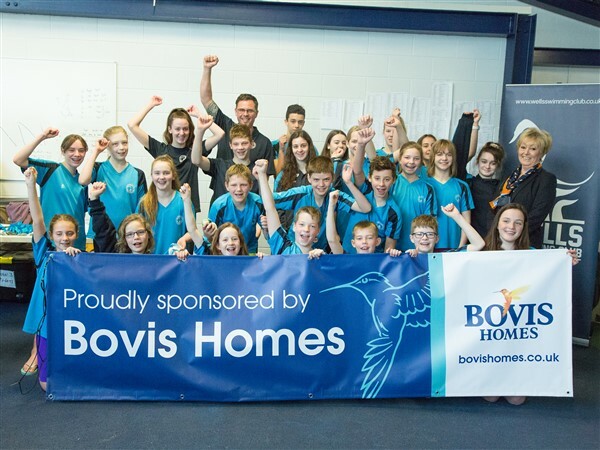 Bovis Homes has recently joined the Wells community with its Priory Fields location off Wookey Hole Road. Offering a variety of two, three and four-bedroom homes in a variety of styles, the new development has already attracted plenty of interest. To find out more about Priory Fields, go to www.bovishomes.co.uk or visit the sales centre which is open daily from 10am until 5pm.